If you have just purchased an old property in Essex that has not had the wiring changed since it was built, then Reactive Electrical can help. 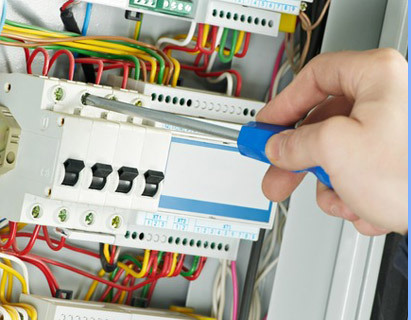 We have experienced electricians that are all highly qualified and very trustworthy that can carry out the work for you. We can also give you a free no obligation quote if you are thinking about having a new property built from scratch that needs new cables, lighting, socket outlets and new switches. If your electrical wiring was installed a long time ago then it is likely that when it was planned originally, the electricians that completed the work, did not bear in mind the level of electrical equipment a normal household would use today, so maybe only one plug socket was installed in each room. We know ourselves that one plug socket is not enough, so we can install however many you need whether it be single plug sockets or doubles. New electrical cables and switches can also be fitted as well as new lighting that can be energy efficient. Wall mounted light switches in bathrooms. Round pin sockets and light switches, sockets mounted in skirting boards, black switches, braided flex cable. Cables coated in black rubber, cables coated in fabric or lead. Fuse box which has a wooden back or even a mixture of circuit boxes throughout the house. If you find that this is the case for you and would like your home re-wired, then contact the best electricians in Essex to help. We cannot stress enough how important it is to find a company that is fully qualified, certified and registered. That is why you cannot go wrong with Reactive Electrical. We have a great reputation, we are highly qualified and our prices are competitive. Any new installations should be monitored regularly against the Electrical Regulations regular testing stipulations. If you would like to protect your home or any properties you may have, then we can install an up to date security system that will keep the burglars away. We offer a free of charge site survey so we can see which will be the right security system for your home. Your home insurance will reduce immensely making the whole thing a cost effective and very safe solution. Will I be left without any electricity? We will do our best to ensure that you have electricity at all times when re-wiring your home but there will be times when the electric will have to be turned off. You will not be left without power overnight once we leave for the day. Fridges, freezers, aquariums etc will be protected at all times whilst the work is being carried out. We will replace all of your existing sockets, lighting, cabling and consumer unit (fuse box), however each installation does vary. At the point of a site survey we will let you know exactly what will need replacing and what work will be involved. What Type of Consumer Unit (fuse box) will be fitted? We will supply you with a user friendly consumer unit which is fitted with a series of circuit breakers. This is controlled by a Residual Current Device (RCD). This is a standard installation which will protect you against electrical shocks. If some of your household appliances trip when the new Consumer Unit has been fitted, we will test your appliances as part of the job. As a guideline, a rewire for a three-bedroom home normally takes anywhere between one to two weeks. However, this is dependent upon the works to be carried out on each project. If you would like us to come and assess your property, then give us a call today so we can book you in. We can then give you more of an idea on how long it will take to complete. This really depends on the size of the property, its location in Essex and what work exactly needs completing. If you would like a free no obligation quote, then you can give us a call and we will book you in for a site inspection.